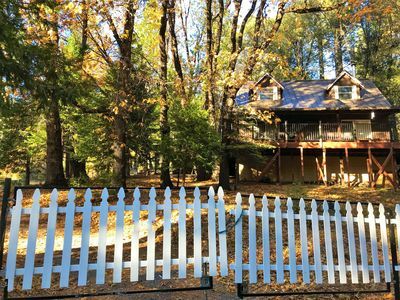 Strawberry /Twin Bridges Cabin - 1 Bedroom & Loft - Create memories here! 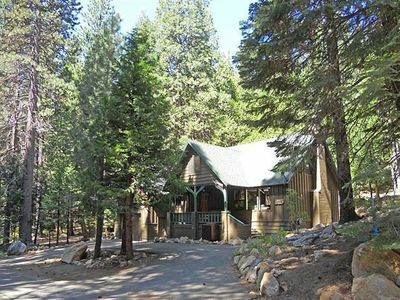 This cozy cabin is located is in Twin Bridges CA /Strawberry (Heights) CA right off Highway 50 near the historical Strawberry Lodge. 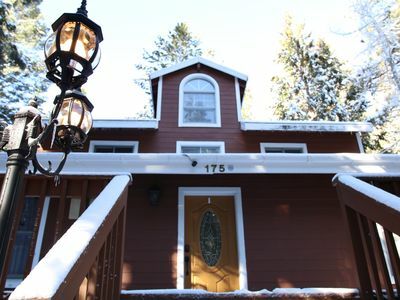 It has one bedroom downstairs with a new queen bed and two bedroom loft upstairs. This year-round retreat makes a great weekend or vacation get-a-away. 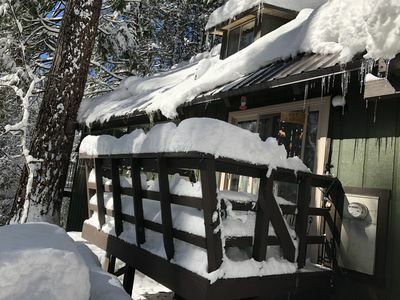 It's located between two National forests and is six miles/10 minutes from Sierra at Tahoe Ski Resort, Echo Lake and 20 minutes from Lake Tahoe. This location is a splendid place for outdoor enthusiasts. The cabin is near the Pony Express Trail and Lover's Leap: a hot spot for rock climbers and hikers. In spring and summer, take a boat ride across Echo Lake and more trails await you. Lake Aloha is another day hike possibility. Outdoor adventures abound! 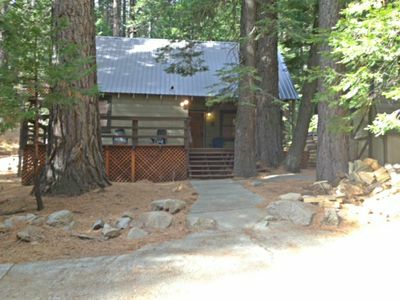 This cabin was built in the 50's and is surrounded by towering redwood trees and has a large deck for relaxing. 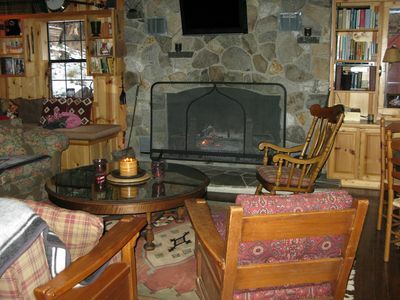 There is both a floor furnace and a wood fireplace with an insert which quickly heats the cabin. All the beds have down comforters and pillows, and flannel sheets. If you want to make a nice meal after a long day of fun, the clean and well-appointed kitchen is well-stocked with all the necessary kitchen supplies and more. The cabin has Direct TV and DVD. Spend time watching a movie, playing a family board game or air hockey. 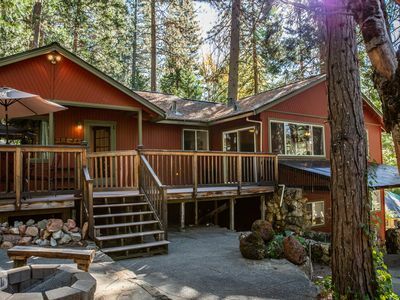 This hide-away feels remote, yet it is close enough to Sierra at Tahoe Ski Resort or a walk to Strawberry Lodge for a meal, ice cream or a game of checkers on their large built-in checker board. Strawberry Market is across the street from the lodge and has new owners and lots of tasty items. It's a great place to grab a coffee and visit with other travelers. The driveway is plowed during the winter months after a large storm. There is storage in the shed for your outdoor gear and boots. The spring and summer rate is $150 with a two-night minimum stay. If it's a holiday and/or a three-day weekend, a three night minimum stay is preferred. So far, the spring/summer holiday rate is still $150 per night, for a three night min. In Winter, the holiday dates cover the Thanksgiving holiday from Nov. 23-26 and Christmas/Winter holiday from Dec. 16 - Jan. 8, and three-day weekends. The rate goes up in winter due to the cost of plowing and increased utilities. The cleaning fee is $100. If there are any questions during your stay, the cleaning crew live near by. This is a non-smoking cabin. Also, due to allergies in our family, no pets are allowed. An agreement will be prepared and must be signed by guests prior to entry. If the cabin is ready, early check-in/out may be possible. This must be confirmed prior and cleared with the cleaning crew. This is harder to do during the holidays. Three-night min. for three-day weekends. 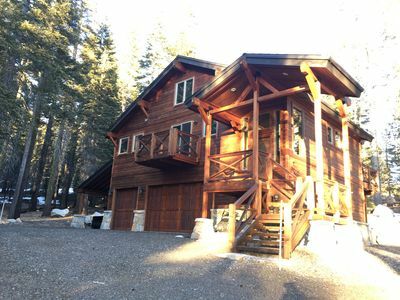 We hope you enjoy spending time at our mountain cabin as much as we have! And thank you to all the repeat guests who have made our cabin a part of their family tradition. 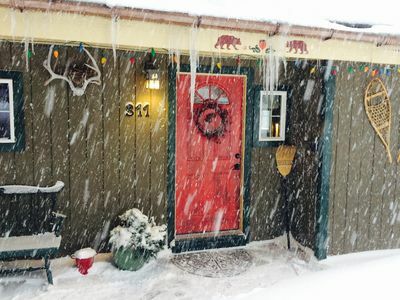 Keywords: This clean, cozy, charming located in Strawberry / Twin Bridges, CA is an authentic ski cabin is ideally situated for the winter and summer sports enthusiast. It's a great get-a-way, 7 miles to Sierra at Tahoe Ski Resort and sledding, surrounded by mountains, near Lake Tahoe, Echo Lake. 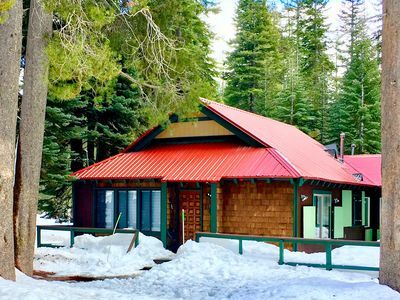 Strawberry Lodge, Horse Tail Falls is all in walking distance. 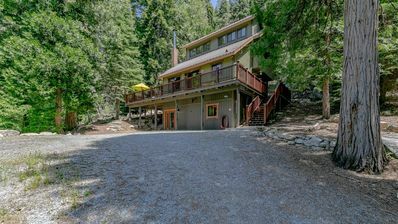 It's near amazing hiking trails and close to Coty and Echo Lake. Mountain biking, horseback riding, golf, fishing and lots of outdoor adventures await. It is fun and a family-friendly vacation. Sophisticated Home. Stainless Kitchen to Cedar Sauna. Relax! Snow! 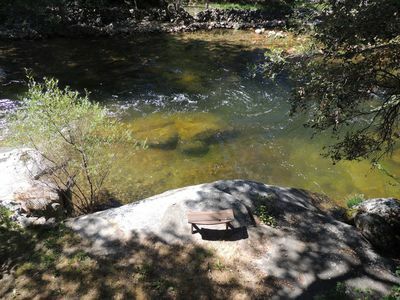 River Front Property close to Sierra Ski Ranch. 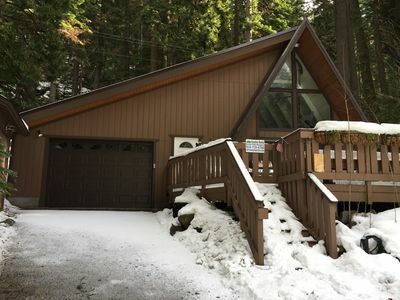 Fantastic Stawberry / Twin Bridges Home with Hot Tub and Great Amenities!!! Sierra @ Tahoe Snow Adventure! 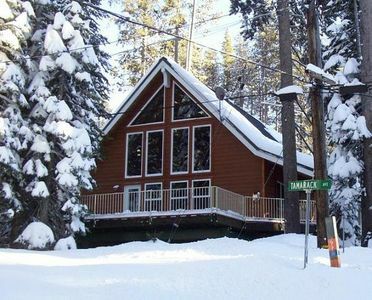 The Secret Sanctum - A Forest Cabin Near Lakes, Rivers & Sierra at Tahoe!